This year's Moonbeam Children's Book Award medalists have been chosen and The Curse of Captain LaFoote by Eddie Jones won the BRONZE MEDAL in the Pre-Teen Fiction/Fantasy category. Oct. 4, 2012 - PRLog -- (Traverse City, MI - Oct. 4, 2012) This year's Moonbeam Children's Book Award medalists have been chosen and The Curse of Captain LaFoote by Eddie Jones won the BRONZE MEDAL in the Pre-Teen Fiction/Fantasy category. The Michigan-based book-marketing firm Jenkins Group created the Moonbeam Awards to bring increased recognition to exemplary children's books and their authors, illustrators, and publishers. With over 1000 entrants in this year’s contest, the Moonbeam Award winners represent the best books published for children and young adults during the previous year. Medalists receive gold, silver and bronze medals and stickers depicting a mother and child reading together, silhouetted by a full moon. A panel of judges including teachers, students, and book reviewers chose medalists in 38 categories. Winning books came from a diverse group of long-established publishers, university presses, small presses, and foundations. 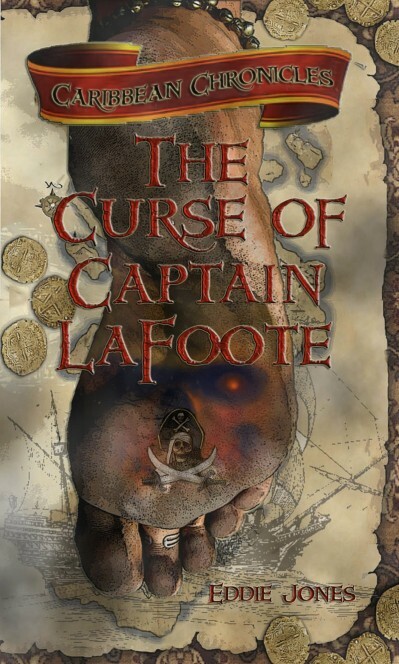 This is the second award for The Curse of Captain LaFoote. In 2011 the teen / tween, Middle Grade novel won the prestigious Selah Award in Young Adult Fiction. Later this month Jones takes readers to the Wild Wild West in a new YA supernatural mystery series with the release of Dead Man’s Hand, the first book in the Caden Chronicles series from Zonderkidz™, a division of HarperCollins. This year’s Moonbeam awards ceremony is scheduled for Saturday, November 10, 2012, in conjunction with the Traverse City Children's Book Festival. The festival is open to the public and runs from 10 am to 4 pm; the awards ceremony will run from 5:30 pm to 8:30 pm. For more information about the author, to schedule an interview, book Jones for an author event or to request a review copy of Dead Man’s Hand, please contact Candice Frederick at DJC Communications: 212-971-9707 or candice@djccommunications.com.